Interstate Removals – Sunshine Coast Removals you can rely on. Making the RIGHT CHOICE of removalist is important. 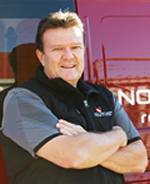 WHY can you rely on Noosa Van Lines? The RIGHT PEOPLE with the right SKILLS and EXPERIENCE who genuinely CARE. The RIGHT APPROACH and ATTITUDE. The RIGHT TRACK RECORD for SERVICE, SCHEDULE and RELIABILITY. The RIGHT LEVEL OF COMMUNICATION – timely, complete and accurate. The RIGHT FLEET to suit the various jobs. A commitment to delivering the RIGHT QUALITY for A FIXED PRICE. 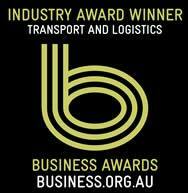 Noosa Van Lines has been providing professional Local Interstate Removals since 1981. 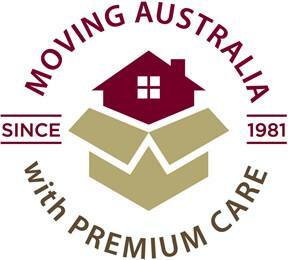 We are a medium sized removals company owned and based on the Sunshine Coast in Noosa, Queensland. With an outstanding reputation for both Local and Interstate Relocations. Over 50% of our business comes from repeat customers, in addition we enjoy a high level of referrals from our large base of satisfied customers. 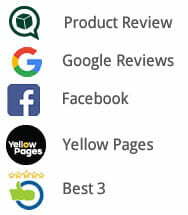 Please take time to read some of the many reviews displayed on this website. Our expert operations team will work closely with you from your first point of contact, right through to the final delivery. To understand all your requirements, plan the components of the move you wish us to look after for you and ensure we deliver what we promise. We can also arrange for pet and vehicle transport. We work closely with you every step of the way, to ensure our service meets your needs, is seamless and timely. All our team members are experienced and fully trained in local and interstate removals, follow our own very strict standards and procedures as well as meeting the AFRA standards and code of conduct. You can be confident that your belongings will be well cared for and delivered safely and securely to their final destination. Noosa Van Lines operates a fleet of vehicles which enables us to arrange the right size vehicle to suit the various size jobs and locations for both the local and interstate relocation parts of each job. We are committed to the highest standards of operation in all aspects. For this reason we employ our own Fleet Manager to select and maintain our fleet to ensure the best fit, operational reliability and appropriate fit-out and configuration in keeping with our high standards for both local and interstate removals. We have introduced weekly removals services between the Sunshine Coast and Melbourne and Sydney to provide greater certainty in planning for clients. These interstate removals services also cater for the cities and towns in between and are not always limited to the schedule below. From the Sunshine Coast to Melbourne, we depart Noosa every Monday (Loading the week prior). From Melbourne to Sunshine Coast (including Melbourne to Brisbane) we depart every Wednesday (Loading on a prior date). From the Sunshine Coast to Sydney we depart Noosa every Monday. From Sydney to Sunshine Coast (Noosa) we depart every Wednesday. We often run additional services to these and other destinations. If you are moving from Sydney to Queensland we invite you to visit our Sydney to Queensland Removalists website for further information. Where the size of your load warrants we can run special services to and from other locations on dates and times that suit. For interstate backloading please refer to the interstate backloading section under the interstate removals heading above. So why not let us do what we do best and organise your removal for you while you get on with other things. We recommend you arrange your furniture removal well in advance and contact Noosa Van Lines with your removal dates as soon as possible to avoid disappointment. Please click here to send us a quick quote enquiry or give us a call so we can discuss and assess your specific removals requirements with you. 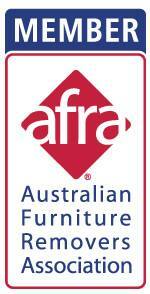 We’re proud to be an approved member of the Australian Furniture Removers Association (AFRA) because we meet their strict criteria for highly professional removalists and abide by their code of conduct. So what does that mean to you? It means we bring you the best possible removal service bar none! Ask Noosa Van Lines for a removal assessment and fixed price proposal for your packing, furniture removal, storage and insurance needs.